Michel Chignard's 8 hectares of vines are situated right at the top of the hill bordering Moulin-à-Vent, on pure granitic soil in the heart of the Fleurie appellation. The Moriers lieu-dit contains the oldest vines, some of which are over 40-years-old and all of which are free-standing in traditional gobelet style. Vinification is divided between stainless steel, cement and large wooden tanks, all using the classic whole bunch method for the maximum extraction of fruit. The subtly differing cuvées are then blended early in the spring and allowed to harmonise over three to four months. 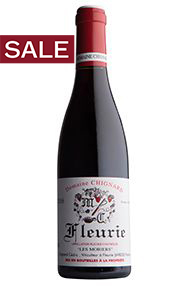 Chignard's Fleuries are unusually concentrated, intensely aromatic and have a depth of fruit and structure seldom found in wines form this village. 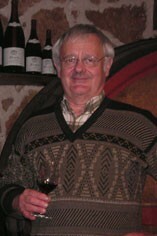 Young Cédric Chignard has been involved in the vinification process for the last few vintages, under the watchful eye of his father.